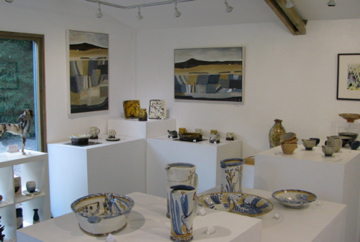 It’s the last chance this week to view Bevere’s September exhibition of new work by us, the Wobage Potters. I have a selection of newly fired, large slab-built bottles, alongside some large servers and a few smaller pieces. 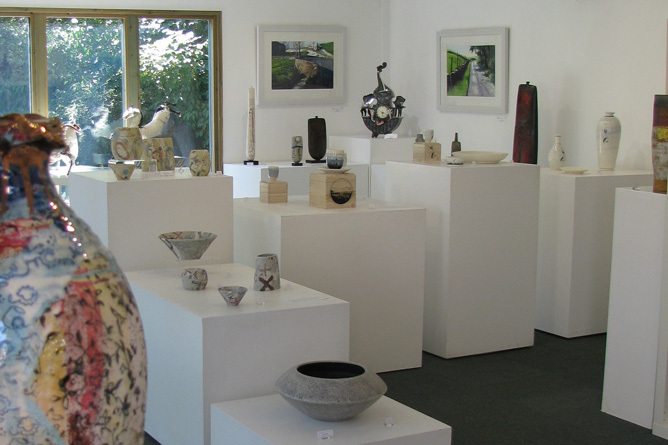 It’s a stunning looking show which compliments the rest of the Bevere selection of high quality ceramics and fine art painting and prints. It’s all well worth a look if you’ve not already been. I can personally vouch for the quality of home-made grub that’s served up in the cafe that sits alongside the galleries. Freshly prepared from locally produced ingredients, the menu includes own ‘House’ scones, cakes, tarts and soups. For opening times and further information, please view Bevere Gallery website, and for the curator’s write-up on the ‘Wobage Focus’ exhibition, take a look at the Gallery blog.